Marlex HC S. de R.L de C.V.
100% Mexican company dedicated to the manufacture and marketing of appliances and healing articles. For the health sector, hospital institutions, medical specialists and public in general. Provide maximum attention to our customers in products with high quality and resistance. With the highest standards of sterilization. Being a vanguard Mexican company, recognized as the leading company in the manufacturing of medical devices of the highest quality, looking for constant innovation of medical products of first level. Sterilization and sanitization with ethylene oxide. Manufacturing and Assembly in clean rooms. Training courses for the use of our products. We are a Mexican company committed to fulfill the needs of our customers, providing the best quality in the manufacture of medical devices sector health within the highest ethical principles. Chorhexidine gluconate solution to 2%p/v in isopropyl alcohol to 70% with orange and pink ink, sterilized disposable container. 3mL. Chorhexidine gluconate solution to 2%p/v in isopropyl alcohol to 70% with orange and pink ink, sterilized disposable container. 26mL. Solution that contains Yodóforo or Yodopovacrilex. To prepare the patient's skin in a simple way. Concentrated sterilizing solution in cold of 8 to 12.5% of glutaraldehyde for prepare a dilution of final use of 2 to 3.5%. Hydrocolloid, bandage ultra tin, self adhesive with or with out external layer. 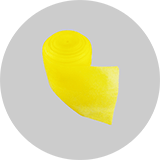 Antimicrobial absorbent bandage. Soft material *unbraiding on a cushion or tape shape. 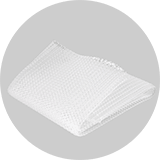 Surgical net made with 100 % isotactic polypropylene monofilament. Tricot knotting without fraying. Bag for Colostomy or ileostomy. 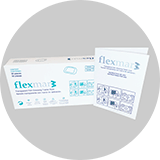 Self adhesive made with medical grade soft. Equipment for colostomy or ileostomy. Equipment for colostomy or ileostomy. 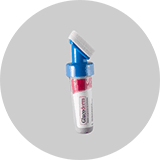 Equipment Self-adhesive made with soft medical grade plastic. Explore ambidextrous polyethylene gloves large and medium sterilized. 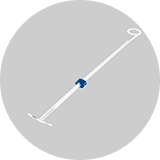 DIU 380 A: Intrauterine device “T” of copper 380mm2 plastic medical grade, insert tube, mountable applicator and 30cm long filament. DIU 375: Polyethylene sterilized 375 mm2 intrauterine copper device, curved flexible shape. 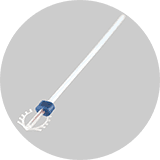 Equipment to drain the pleural cavity adult and pediatric use. With 3 cameras for seal of water, succión and liquids collections. Catheter spiral shape (pig tail) for dialysis peritoneal, chronic of installation subcutaneous. Catheter tecknoff style for dialysis peritoneal, chronic of installation subcutaneous with pillows of polyester. Rubber Band ( Smarch ) medical grade natural rubber band. To promote temporality ischemia. Invisible Bandage, microporous self-adhesive compound by a film of acrylic adhesive polyurethane. Monday to Friday 8:00 to 18:00 Hrs. Col. San Juan de Ocotan Zapopan, Jalisco C.P.45019. ©Copyright 2018 Marlex HC S. de R.L de C.V.